Dr. Dev completed her medical school, internal medicine residency and critical care fellowship all at the University of Toronto and has been a staff intensivist at Sunnybrook Health Sciences Centre since 2006. She complemented her training with near 2-year fellowship at the New England Journal of Medicine in Boston from 2007 to mid 2008. Her work there was focused on the development of media for peer review publication through working on their series, Videos in Clinical Medicine. Dr. Dev has published her own videos through this series and continues to work in collaboration with the editorial staff at NEJM creating her own videos and acting as an external reviewer. Dr. Dev has used her video production skills in the field of knowledge translation. She identifies herself as a “master collaborator”, having worked with colleagues of varying clinical backgrounds in order to create diverse multimedia educational tools around topics such as teaching lung protective ventilation, proper hand washing techniques and communication skills around giving feedback, to name a few. 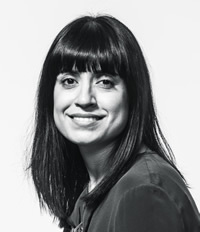 In addition to her media and clinical work, Dr. Dev is the director of education in the Department of Critical Care Medicine at Sunnybrook and runs the education program for both residents and clinical fellows. She is also active in undergraduate teaching, and has won teaching awards for her work as a Problem-Based Learning and Clinical Skills tutor.